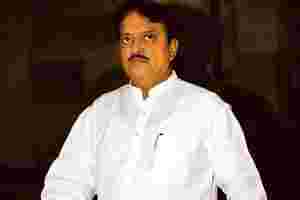 New Delhi: Maharashtra chief minister Vilasrao Deshmukh’s resignation has been accepted, said news agency ‘Press Trust of India’, quoting India’s defence minister and senior Congress leader A.K. Antony. Maharashtra’s deputy chief minister R.R. Patil, resigned on Monday at the behest of his party, the Nationalist Congress Party (NCP), and his resignation was accepted. It wasn’t immediately clear who would replace Deshmukh. The names of Union power minister Sushil Kumar Shinde and minister in the Prime Minister’s Office Prithviraj Chauhan have previously done the rounds as possible replacements for Deshmukh. Deshmukh had sent his resignation letter to party president Sonia Gandhi on Monday. Earlier in the day, Congress spokesperson Manish Tewari had said: “Consultations are on and the principle of accountability will be applied across the board." Antony, NCP leader Sharad Pawar and Sonia Gandhi’s political secretary Ahmed Patel met on Wednesday to decide on Deshmukh’s successor. Deshmukh’s exit is the latest in a spate of resignations following the Mumbai terror attacks. On Monday, Union home minister Shivraj Patil resigned and was replaced by finance minister P. Chidambaram.